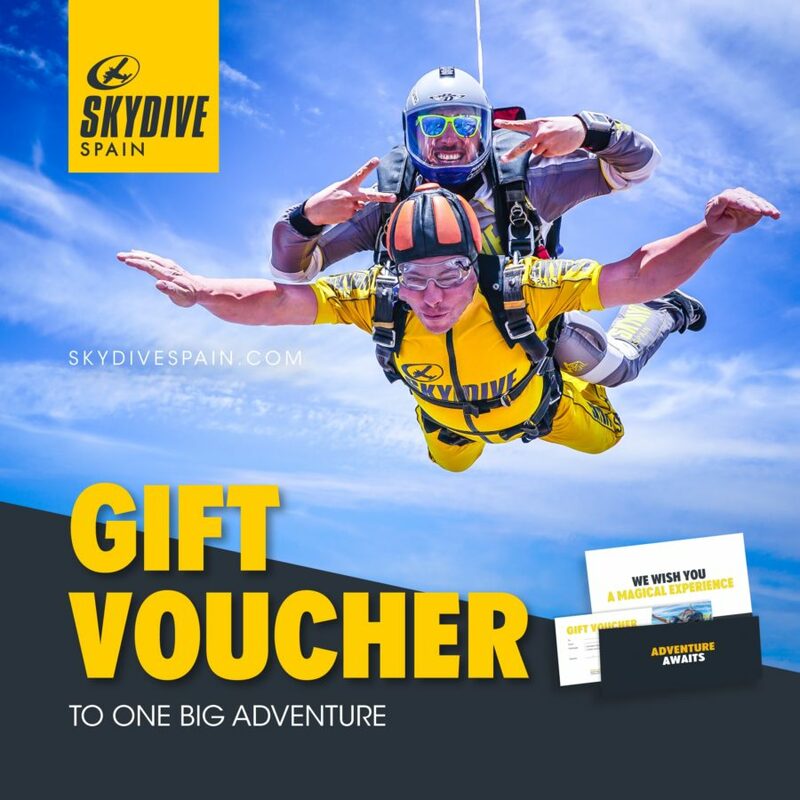 Looking to go skydiving in Spain? You’ve come to the right place. 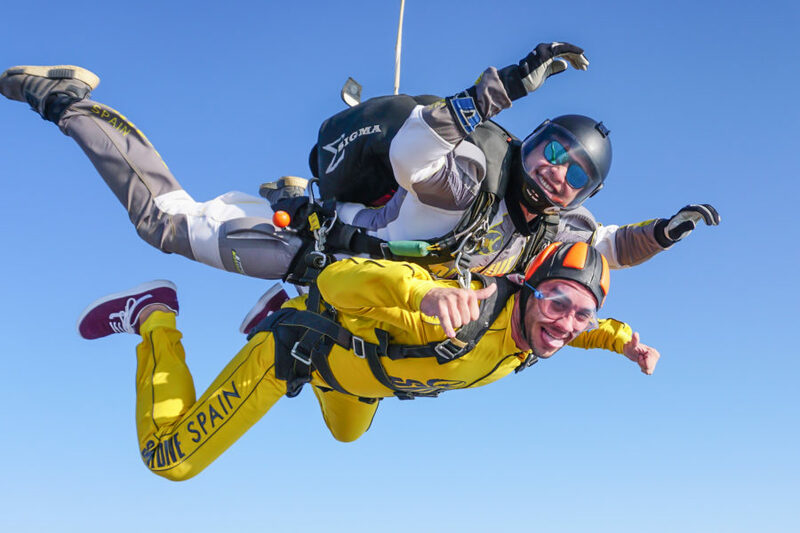 Skydiving in Spain is the most popular at Skydive Spain, where with over 25 years of experience, we’ve become one of the most sought after destinations for tandem skydiving in Spain. **Please note: We highly recommend you book your choice of Video & Photo option at the time of booking. On the day, availability is limited. Discounts are not accumulative. 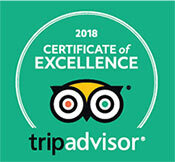 Discounts are only valid when booking online in advance and will not apply for tandem walk-ins. Discounts are not valid for participating agencies or collaborators. 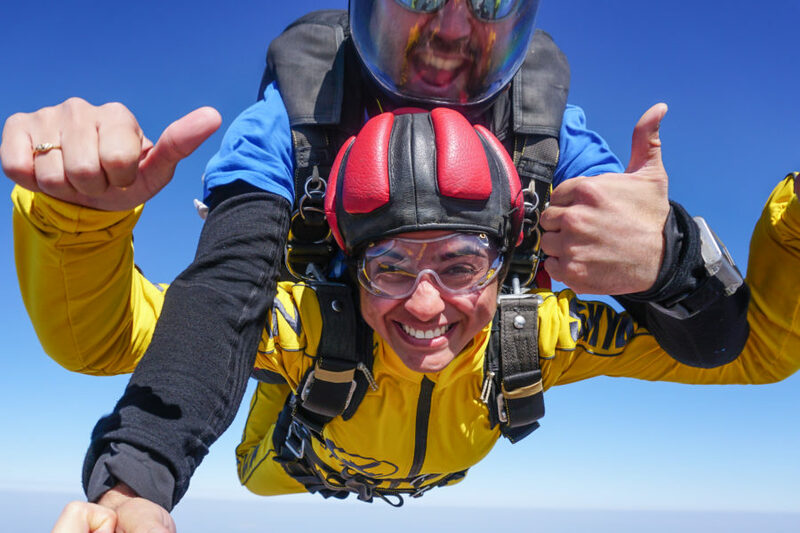 Read information about the tandem skydiving experience! See a full list of our most frequently asked questions. Be sure to read through the terms and conditions before booking.